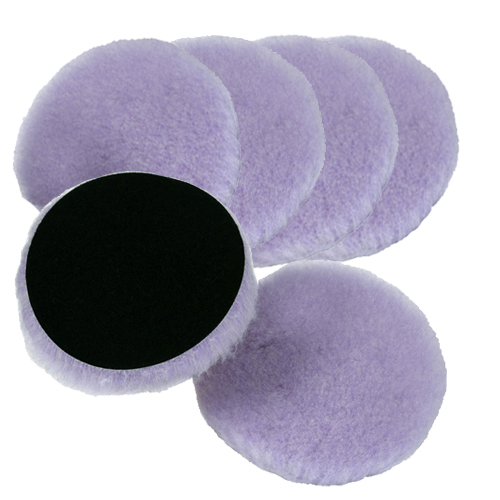 Lake Country 5.5" by 1" Purple Foamed Wool Pad 6 Pack gives you bulk pricing on six pads which are perfect for high production OEM industrial applications as well as body shops and detail shops. Ideal for one step compounding that removes up to P1500 scratches and and finishes to a phenomenal high gloss shine. The Lake Country patented nanofoam manufacturing process encapsulates the base of the wool fibers of the Lake Country Purple Foamed Wool Pad with microscopic polyfoam particles which leads to performance thanks to the higher density material that resists caking and matting. The advanced wool foaming process locks in the fibers which considerably reduces linting. 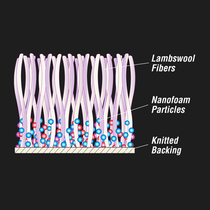 This advanced manufacturing process creates tiny air pockets at the base of the wool fibers which improves cushioning and the retention of compounds and polishes. Consistent results are achieved with uniform material manufacturing, unlike the variances found in natural sheepskin wool pads. Lake Country Foamed Wool Cutting Pads will cut aggressively to remove defects then finishes like a foam pad leaving a haze and swirl free high gloss shine. 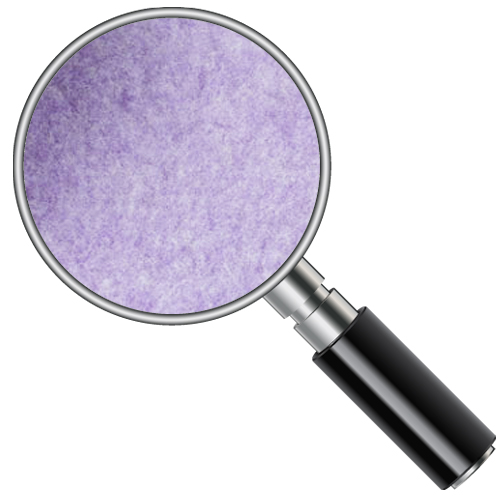 During Use: Dislodge buildup of compounds or polishes from your Lake Country Purple Foamed Wool Pads with a wool pad cleaning spur often during use for optimum performance. After Use: Wwash your pads immediately after use while the compound or polish is still fresh. 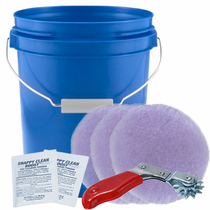 Use Snappy Clean Boost� Pad Cleaning Powder in 3-4 gallons of water to release product from your Lake Country Purple Foamed Wool Pads without residue. Soak for 10 to 15 minutes then agitate by hand to further release product or use a pad washer. Rinse thoroughly with fresh water, press out excess water and allow to air dry.